Newt Gingrich clearly states it here – it does not matter what the truth is, it matters what people feel the truth is. 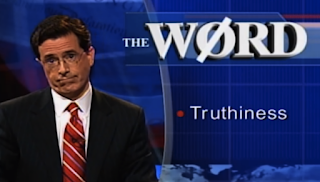 This is what Steven Colbert termed as truthiness, a joke that he should be thinking a lot about these days. 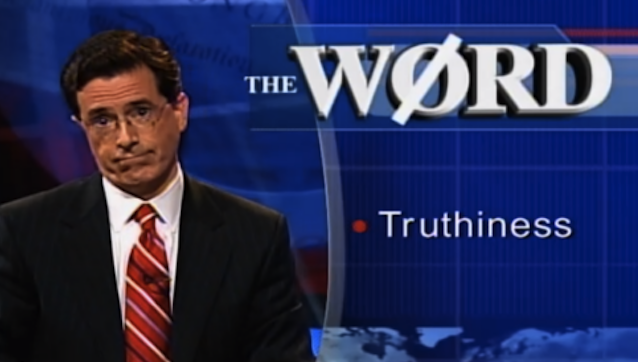 The rise of truthiness is a danger to society. To get your way you no longer have to find arguments based on the present reality, you just have to be able to warp reality in your favor. The internet, with its immediate access to information and its global reach, should be a weapon in favor of reason. Instead it has actually increased our isolation as we sort ourselves by affinity to beliefs. I am this shocked with the results of these elections because I barely interact with those with the same set of beliefs of the winning groups. We live in filter bubbles (book, TED talk) in all the media that we consume and even in the places where we live in. This affinity based social sorting is amoral. The same ease of access that allows scientists to collaborate globally is bringing together any other likeminded group of people. In the book “Here Comes Everybody” Clay Shirky gives examples of groups of bulimics teaching each other techniques to avoid eating and how the internet may help terrorist groups. It is hard to break into these echo chambers because people tend to perceive as true whatever confirms their beliefs. This well-known phenomenon of confirmation bias gets magnified by communal reinforcement within the filter bubbles. Savvy social manipulators don’t have to change the opinions of those in these echo chambers, they can try to connect with and shepherd those within. What do we do when truth and reason no longer matter? Scientific findings are no longer facts but just opinions and values. People can be pro or against vaccination for example. This is starting to have very serious and concrete consequences (e.g. global warming) and looks to be increasingly getting worse. Although in both elections the younger generations were less likely to have voted for the winning outcomes, I don’t think that echo chambers and the attack on reason are a generational problem. Maybe scientists should be having a more active role in promoting the importance rational thought or maybe it is a challenge that can only be solved by improving the education system.